Drop-ins are ALWAYS welcome for ALL classes! Breathe and Play Every Day isn't just ANY yoga studio. We are a growing community of families looking for a place of welcome, comfort and support. Whether you visit once or a million times, make yourself at home - we do! We stock our favorite coffee and Kind bars - and we share! 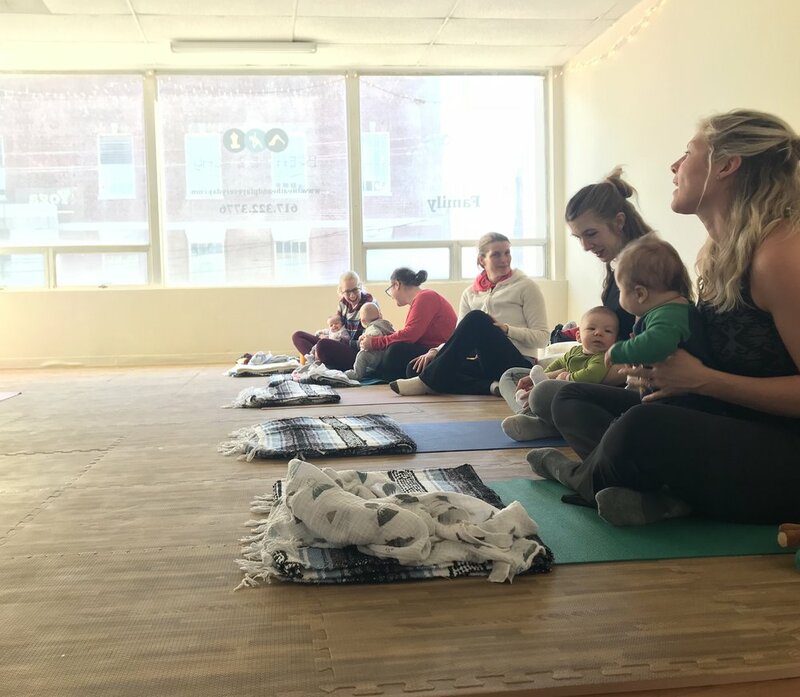 We offer a wide variety of classes for all ages so your family can be part of a yoga centered community at all ages and stages. 2 weeks - the whole family - UNLIMITED! Come join us in the beautiful chaos of parenting. Being a member gives your whole family the full experience. It's our dream to provide you self-care and comfort outside your home. We have classes for everyone in the family. Members receive discounts on doTERRA essential oils and Barefoot Books to help you breathe and play at home. Sessions are a great way to build community. Most people, especially kids, benefit from familiarity, routine, and predictability. Attending yoga classes consistently enables generalization of skills - which is what makes yoga an effective lifestyle. Sessions also allow for knowledge to build each week for multi-layered, deeper levels of learning. Of course we want you to come all the time - we love you! But we're also moms who totally understand that even with the best of intentions, life happens. Kids get sick, you have a bazillion obligations, and commitment is hard. No worries - we're here for you - always. All classes are available as drop-ins - and you don’t even have to sign up in advance! Ready to Breathe & Play?